Welcome to Eritrea. Everybody has freedom of expression: not a single citizen was arrested for saying the wrong things. Here, we have no torture of citizens because if there is an independent judge will interview them and find out. 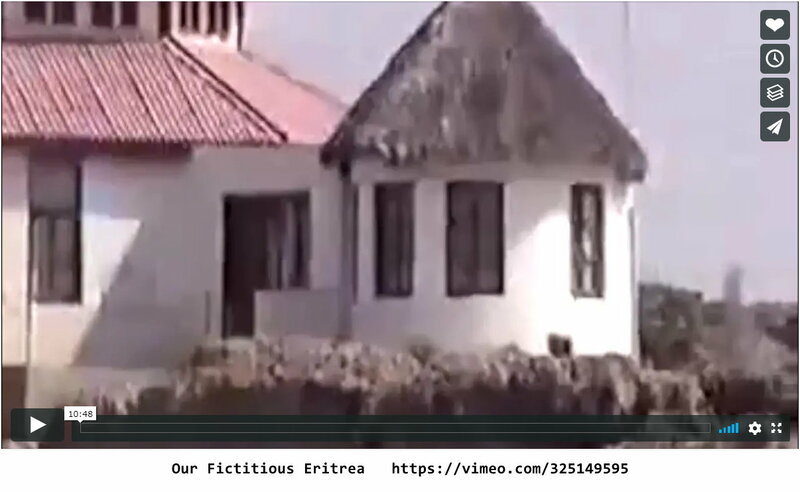 Our patriarch lives in subsidized housing under gov car because he was fired by his church..
Our Fictitious Eritrea from saay on Vimeo.